This post contains affiliate links. I receive a small compensation for any purchases made through these links - thank you for your support! 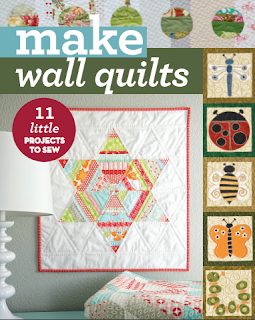 a pattern from the December Book of the Month Selection, Make Wall Quilts. Created by Camille Roskelley, Adorn makes for a really nice wall decoration, or even a table topper. I also liked how this was quilted simply, and kept with that theme on mine. 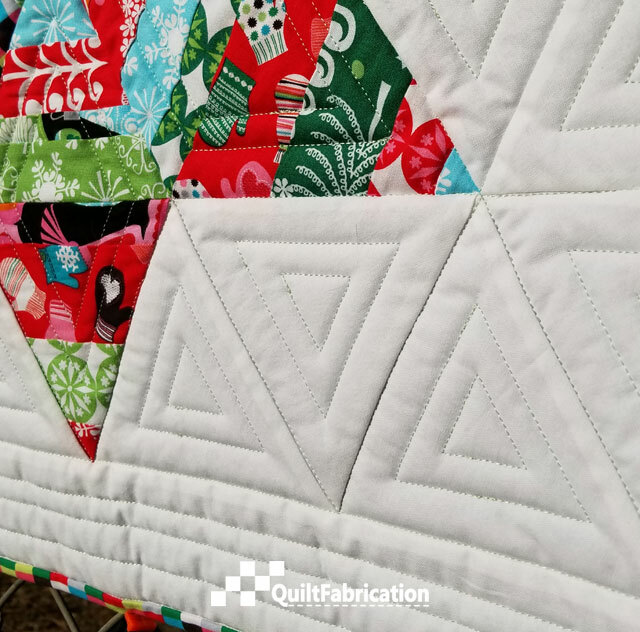 With pale green Glide thread, the quilting echoes the diamond and triangle shapes, with a 3/4" space, followed by an inner 1/2" space, leaving the centers open. All of the background triangles have the same spacing, as do the upper and lower borders. Overall, a fun project, not only for the holidays but for any time. 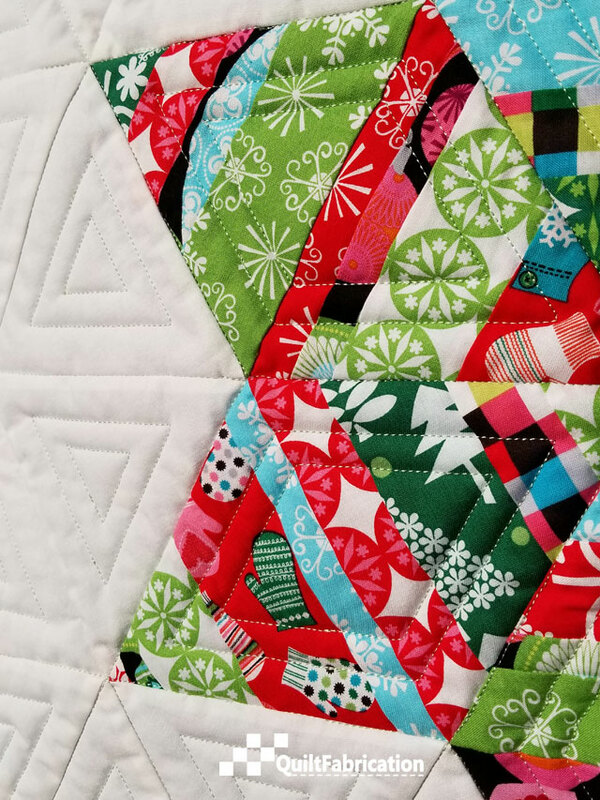 Though I cut strips from fat quarters, this is a perfect project to use up strip scraps. I'm sure we could all use lots of ideas for that - consider this one! What I a fun way to use up scraps. 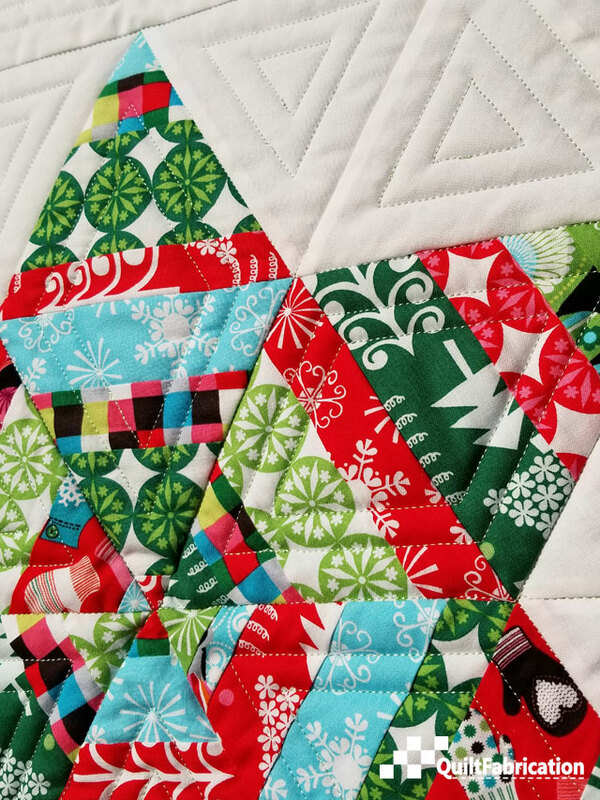 Love those bright Christmas colors and the super simple quilting. Thanks Tish! I'm pretty happy with how this turned out. Currently, it's displayed as a table topper, and is very refreshing! Thanks Roseanne! I'm pretty pleased with it - loving the cheery fabrics, and the quilting. Yes, you definitely have to make some! Fantastic project Susan. I love how you quilted it. Definitely a good scrap buster! 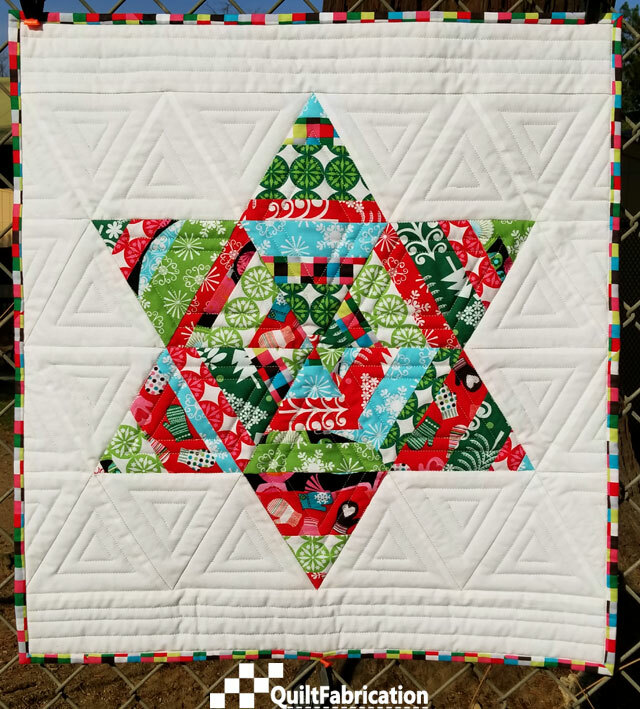 Love the Christmas prints, and the quilting is really cool! Oh that is one cute wall hanging! Absolutely fantastic! Perfect for any season or occasion indeed! Thanks for sharing!! That is perfect. 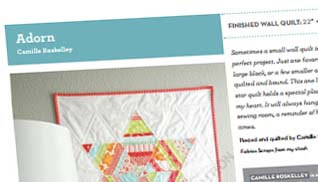 I love your quilting on this one too. What a cute project. I love your quilting design. Ah, what a beautiful little thing. This is a stunning beauty!!! Hi Susan, that's a really cute quilt.Thanks for sharing this book with us.